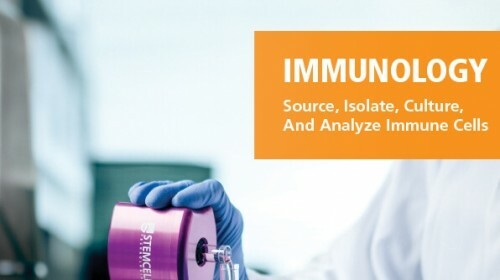 ImmunoCult™ Human Th2 Differentiation Supplement contains a human cytokine and blocking antibody formulated to promote the robust activation, expansion, and differentiation of peripheral blood-derived, naïve, CD4+ human T cells into Th2 cells. 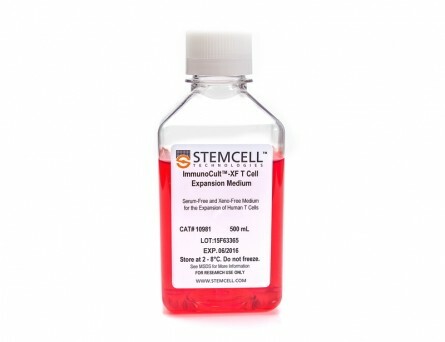 ImmunoCult™ Human Th2 Differentiation Supplement is intended for use with ImmunoCult™-XF T Cell Expansion Medium and ImmunoCult™ Human CD3/CD28 T Cell Activator. 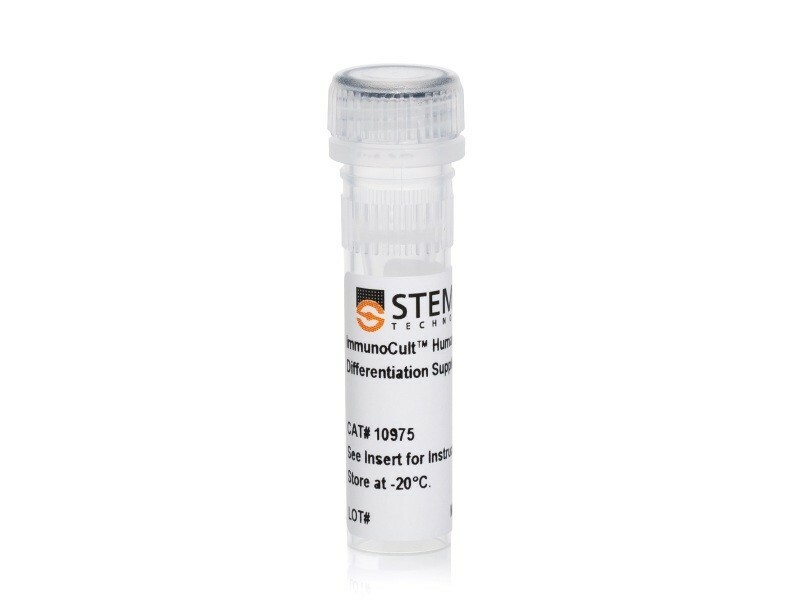 Naïve CD4+ T cells were isolated from human peripheral blood samples using the EasySep™ Human Naïve CD4+ T Cell Isolation Kit (Catalog #19555). 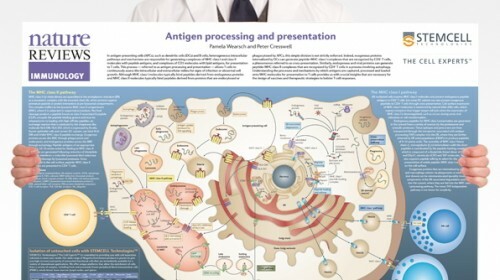 Cells were stimulated with ImmunoCult™ Human CD3/CD28 T Cell Activator (Catalog #10971) and ImmunoCult™ Human Th2 Differentiation Supplement (Catalog #10975), cultured in ImmunoCult™-XF T Cell Expansion Medium (Catalog #10981) for 14 days. 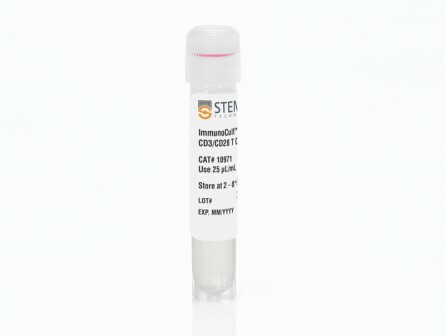 Shown are flow cytometry results of cell samples stained and analyzed for expression of CD45RA and CD45RO (A) before and (B) after 14 days of culture. After 14 days the majority of cells in culture display a memory T cell phenotype (CD45RA-CD45RO+). 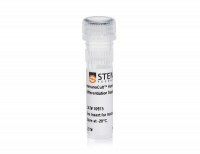 Naïve CD4+ T cells were isolated from human peripheral blood samples using the EasySep™ Human Naïve CD4+ T Cell Isolation Kit (Catalog #19555) and cultured with ImmunoCult™ Human CD3/CD28 T Cell Activator (Catalog #10971) and ImmunoCult™ Human Th2 Differentiation Supplement (Catalog #10975) in ImmunoCult™ and differentiated (CD45RA-CD45RO+) cells after culture was compared after staining cells for CD45RA and CD45RO and analysis by flow cytometry. 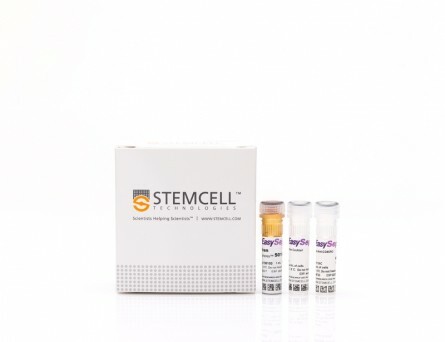 The percentage of cells expressing a naïve phenotype was similar and the percentage of cells expressing a differentiated phenotype was significantly higher with ImmunoCult™ than with competitor medium and activator. 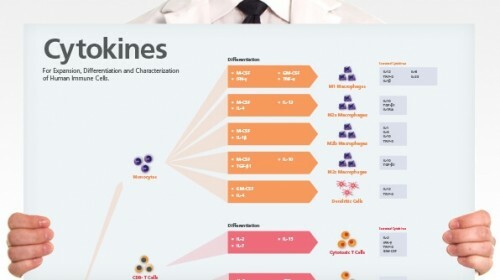 Shown are the differences in the percentage of naïve and mature T cells in either ImmunoCult™ (purple) and competitor (grey) culture conditions (mean ± S.E.M. ; *p < 0.05; paired t-test on logit transformed data; n = 4). 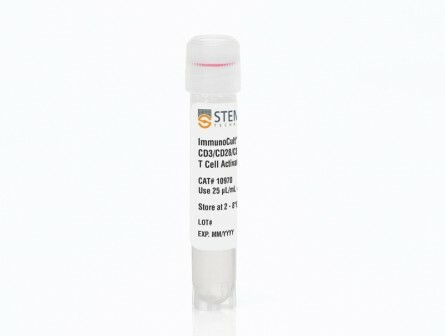 Naïve CD4+ T cells were cultured for 13 days in ImmunoCult™ activator, supplement and medium, or competitor medium and activator using the protocol described in Figure 2. After culture, differentiated CD4+ T cells (CD45RA-CD45RO+) were analyzed for (A) IFNγ and (B) IL-4 expression, following stimulation with PMA and Ionomycin for 4 hours. 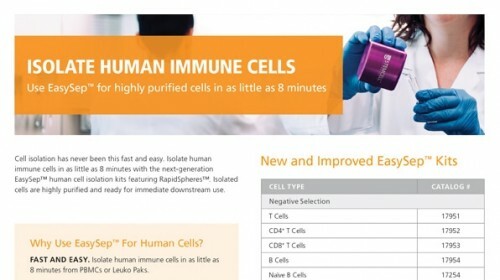 Similar percentages of cells generated with ImmunoCult™ expressed intracellular IFNγ and IL-4 as compared to those generated under competitor conditions. 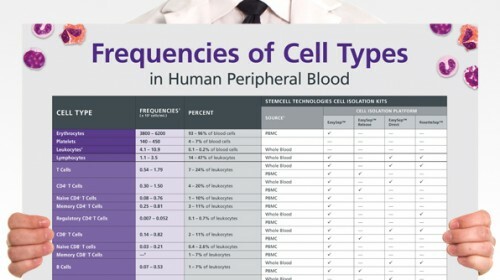 Shown are the differences in the percentage of naïve and differentiated T cells in either ImmunoCult™ (purple) and competitor (grey) culture conditions (mean ± S.E.M. ; paired t-test on logit transformed data; n = 4).